I have loved books and reading since I was a kid. I struggled to learn how to read, but even before I could read on my own I loved being read to. Once I finally cracked the code to reading on my own, reading soon became one of my favorite things to do. Beyond my love for the written word, I love books as objects. I love the way they smell — whether they are brand-new or well-loved — I love the way they feel when you hold them, I love fanning through the pages, and I love the way they look lined up on a bookshelf. Am I starting to sound like a bit of a weirdo yet? Well, that’s okay, I am kind of a weirdo. I arrived at Powell’s with my boyfriend on a cold, wet day in February. It was mostly raining, but every so often it would turn into snow. In other words, it was perfect bookstore-browsing weather. Though I went with my boyfriend, we quickly went our separate ways as we browsed, since we have different interests and preferred to wander through the stacks on our own. He is more the type to stay in one area for a long time, looking over each book, while I prefer to meander through the aisles, stopping when something catches my eye. 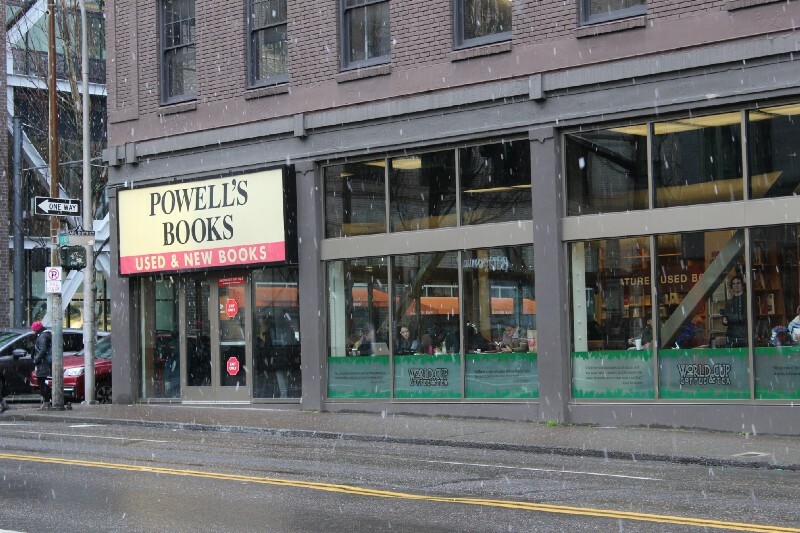 Powell’s opened in Portland in 1971, and it has four stores in the city. The one that we visited was the original location, Powell’s City of Books, which is the biggest independent bookstore in the world and has over one million books. I think we spent around three hours browsing through the different rooms (there are nine of them). You could probably spend more. It is easy to get lost in the stacks, discovering new gems and looking for old favorites. 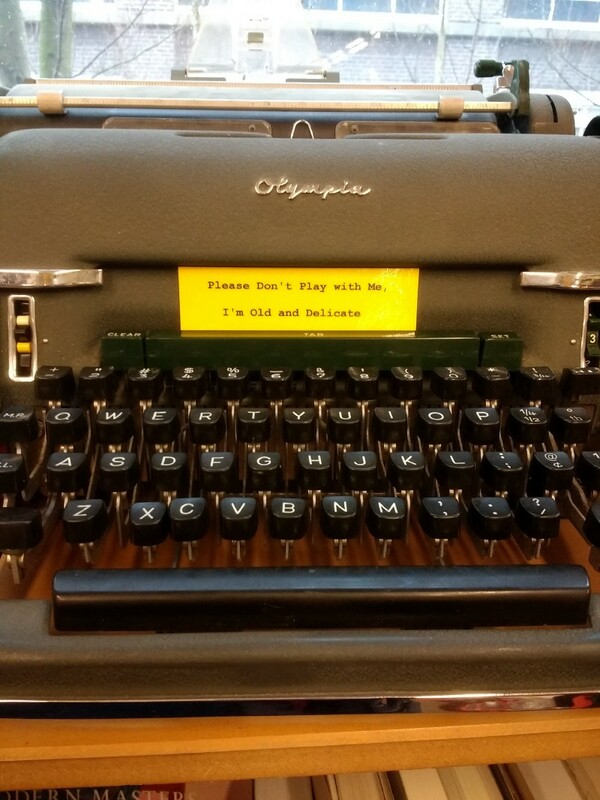 There were also a bunch of typewriters on display, with messages such as this one that I really identified with. Powell’s did not disappoint, and I left with a small stack of books and a desire to return. If you ever get the chance to go, I highly recommend it. 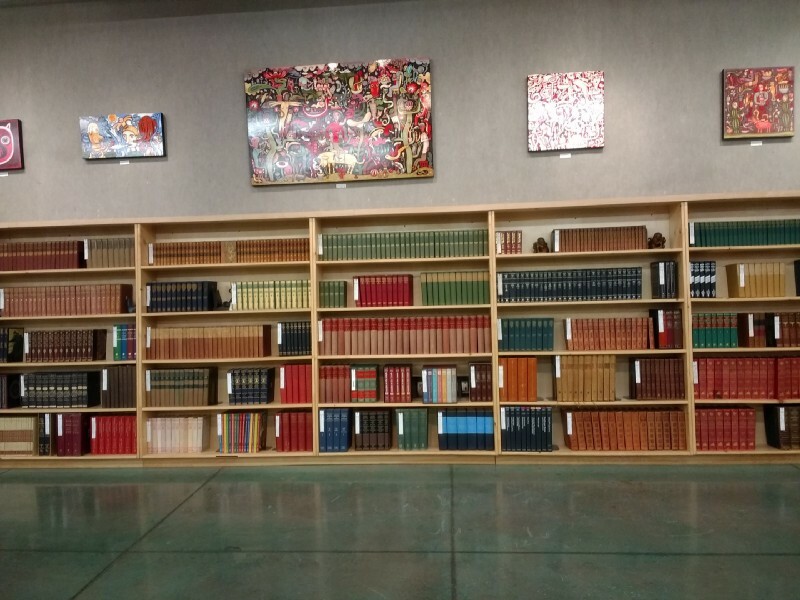 Not only will you get to experience one of the coolest bookstores ever, but you can also feel good about supporting a local business and independent bookstore. 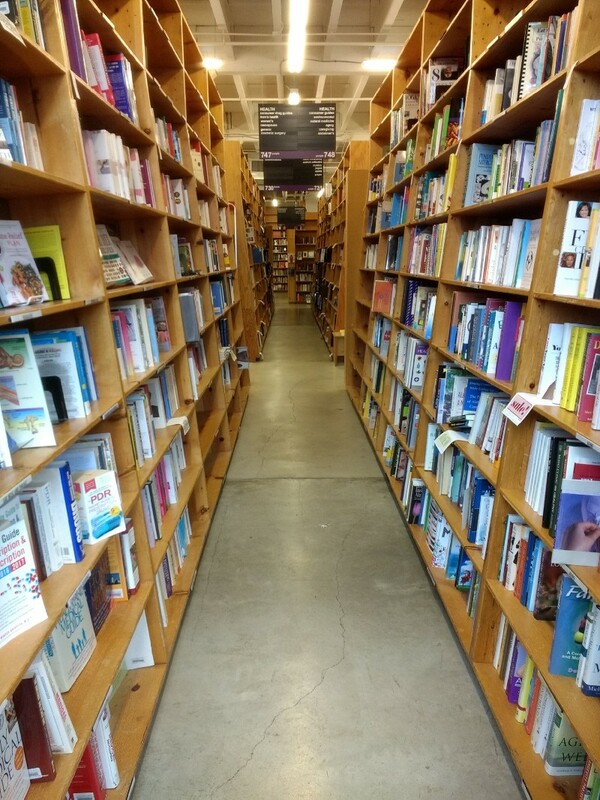 A visit to Powell’s is a win all around.